Choosing a new roof for your home or maybe a complete exterior makeover? Talk with one of our roofing, window or siding professionals to find the action that best fits your needs. We’re happy to make some repairs to buy you some time, or make a replacement if it is needed. You want a contractor you can trust, and one who has the experience to help you make some major decisions. We will listen to your goals, desires, and help alleviate any concerns. We will walk you through the process like you were one of our family. Highly trained staff. Professional roof installation done right. Cleveland based, family owned. We are your neighbors. OVER 23,000 SATISFIED CUSTOMERS…. AND COUNTING! Our best referral is a happy customer! Siding options provide beautiful & durable improvements to your home and office. Our professional team ensures that your project goes smoothly, on schedule, and on budget. New windows can dramatically change your point of view. Window replacement can be one of the best choices that you make as a homeowner. We do windows right! Let us make your house a home! We’ll meet or beat any written estimate! OVER 23,000 SATISFIED CUSTOMERS….AND COUNTING! Home Exteriors has done several projects at my home. First I had them replace my old windows. Job was done quickly and professionally. Next I had them replace my roof. They were very helpful when it was time to pick out the style and color of the roofing. Laid down six feet of ice guard and the roof was done quickly. On both of these jobs they were very careful about cleaning up after themselves (especially the old roofing nails). Tarps were spread on the ground and old materials thoroughly cleaned up. The following day after the roof was completed the roofing supervisor was out again checking over the work and spent a lot of time going over my yard with a magnet to catch any remaining nails that may have hit the ground. After that I had them install a bay window. Again a job well done. About two years after my windows were installed one of them developed a crack in the glass. Home Exteriors came out and replaced it at no charge to me in a prompt and professional manner. I've never had a bad experience with them on any of my projects. 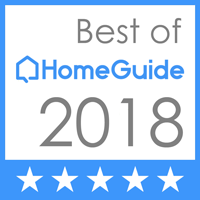 I recommend them highly and I plan on calling them again when it comes time to replace my sliding door and other projects that are better left for the professionals. Well done!